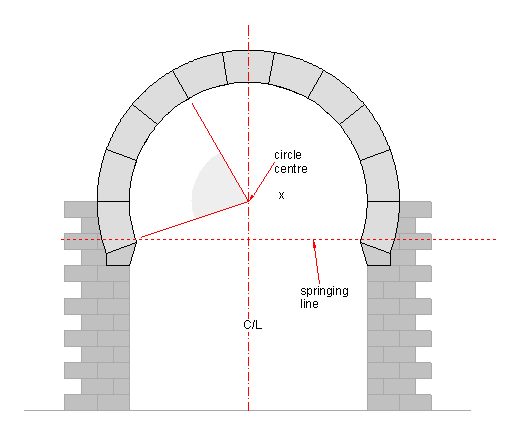 A type of arch that is based on arcs of circles that has the centreline of the circle(s) higher than the springing line, making the body of the arch wider than the narrowest part of the opening. 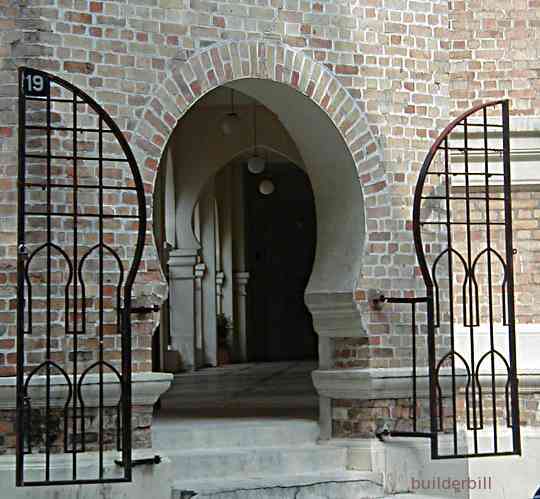 The arch above is clearly based on a circle. 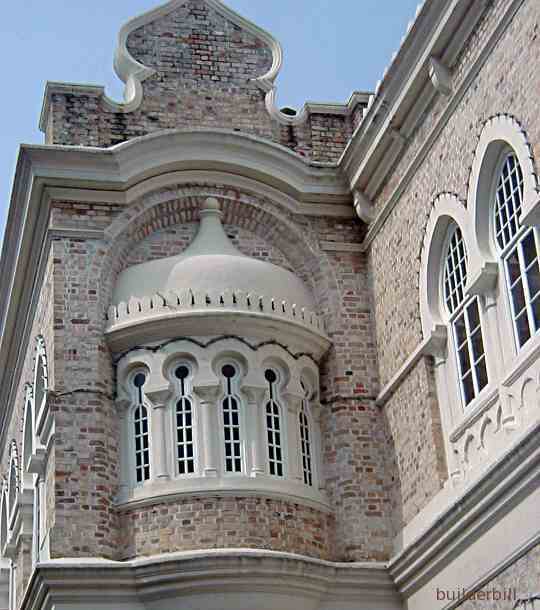 Islamic architecture makes use of the semicircular arch to good effect but a feature that defines Islamic buildings is he use of arches that use more than half a circle. The result is many times stunning and these graceful arch forms have contributed to some of the most beautiful buildings that mankind has ever built. 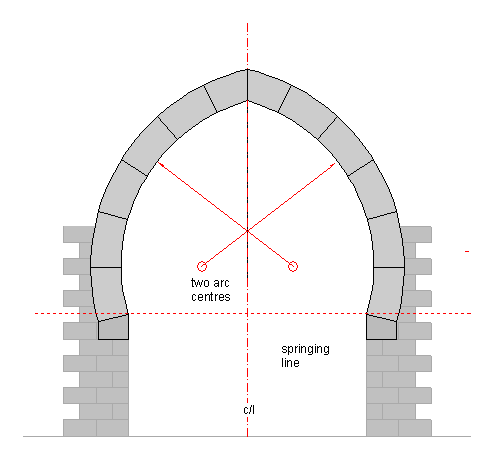 Like the Gothic equivalent the pointed arch above is based around two arcs of circles. Once again the centre line of the circles are above the springing line giving the distinctive Moorish look. I have never been to see the Taj Mahal or the Alhambra, ("so much to do, so little time"), so you will have to settle for the Sultan Abdul Samad Building in Kuala Lumpa in Malaysia for the photos on this page. On the right above can be seen a couple of pointed arches.